Home » Competitions » Supertato to the rescue with a bedtime story giveaway! Supertato to the rescue with a bedtime story giveaway! 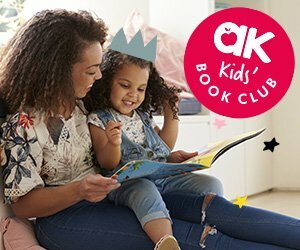 June’s book of the month for the AK Kids’ Book Club is the fantastic new instalment of the Supertato series: Supertato, Veggies in the Valley of Doom and we’ve got 10 copies to give away! Simply fill in the form below and we’ll pick 10 lucky winners at the end of the month!